​SEE THE "CONTACT US" PAGE FOR HOURS AND ADDRESS. Please Note: 3 chairs that are 28" wide are tight on the 84" table side. 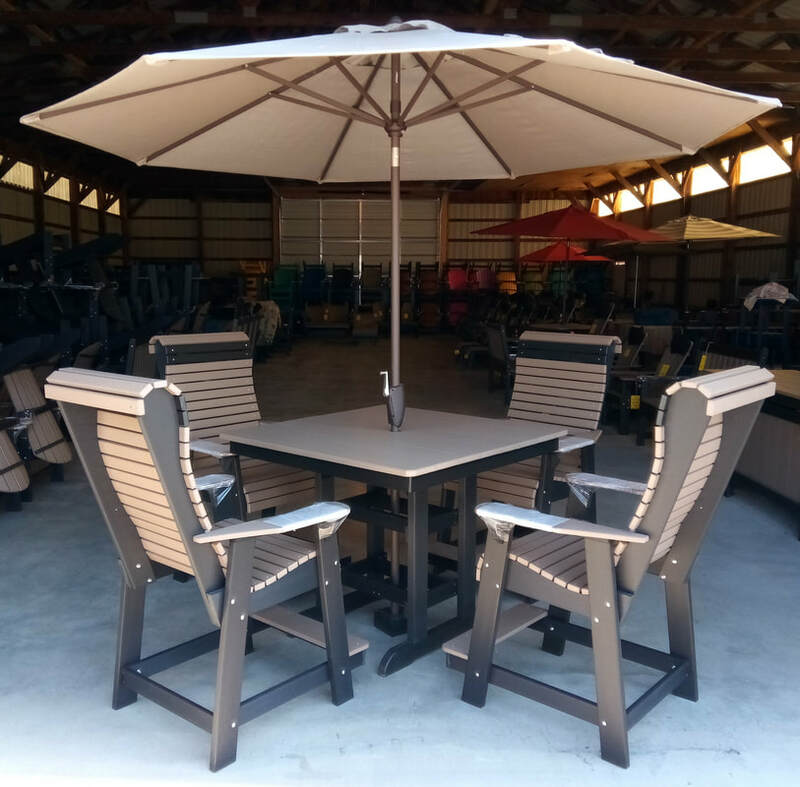 This set works best with 2 chairs per side and 2 chairs elsewhere on your patio to be used when you need extra seating around the table. 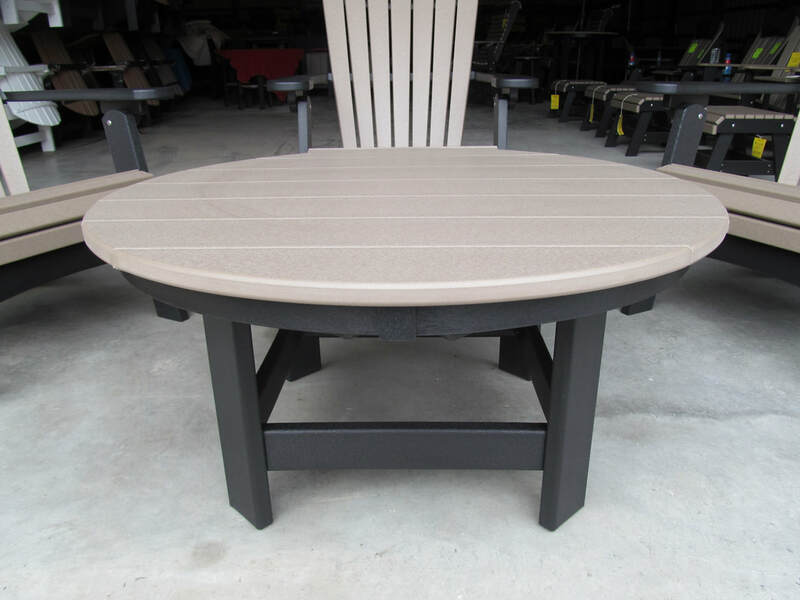 "Never Paint Poly Outdoor Patio Furniture"
​CALL FIRST TO MAKE SURE THE FURNITURE YOU WANT IS IN STOCK! Over 10 Thousand Sold ! 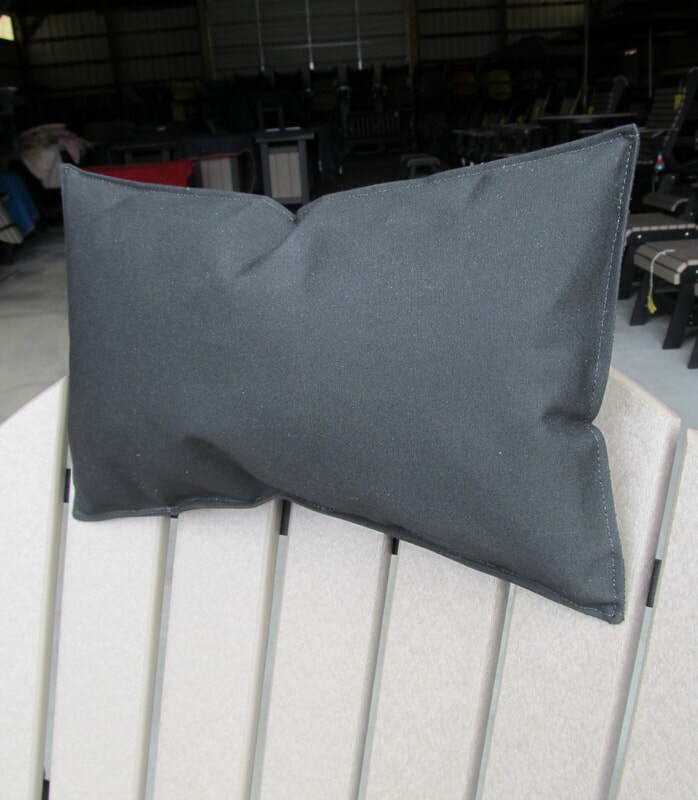 "Solution Dyed Acrylic Boat Cover Fabric"
" The Classic Adirondack chairs are very comfortable, but my friends seem to enjoy the pillows and the cup holders as much as the chairs." Dave / Dillsburg , Pa. In order to keep prices low, we only accept cash or checks. In order to keep prices low, we do not ship our products. 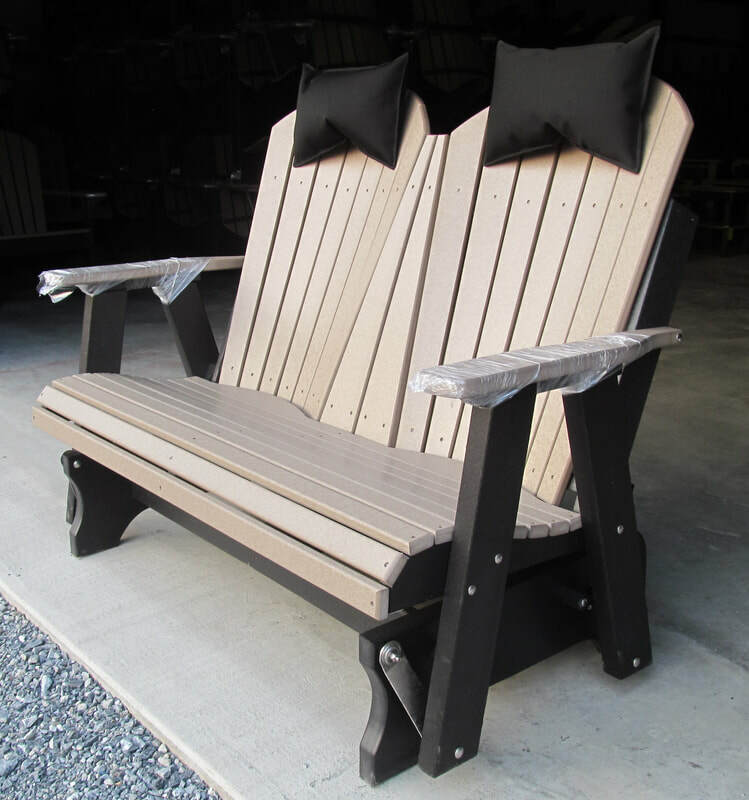 Please note: the 4 pictures below are of folding Adirondack chairs. 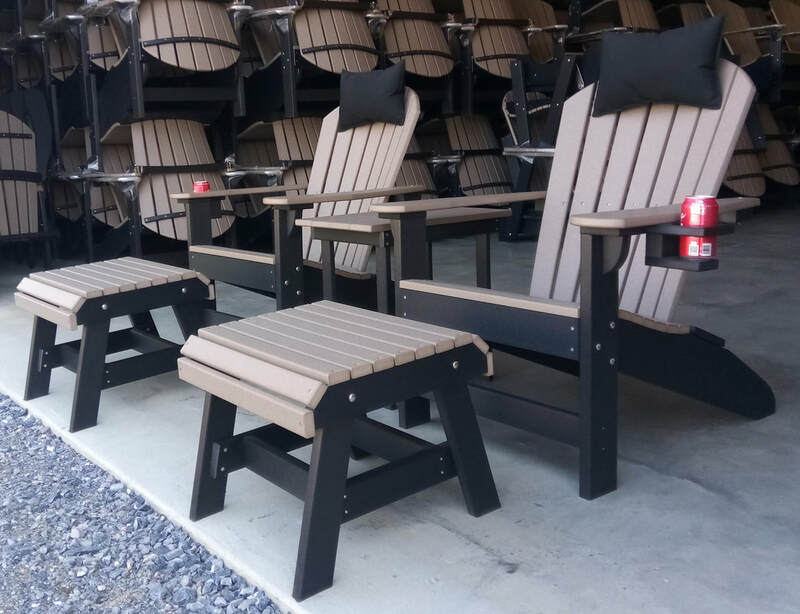 All other Adirondack chairs pictured on this website are not folding. 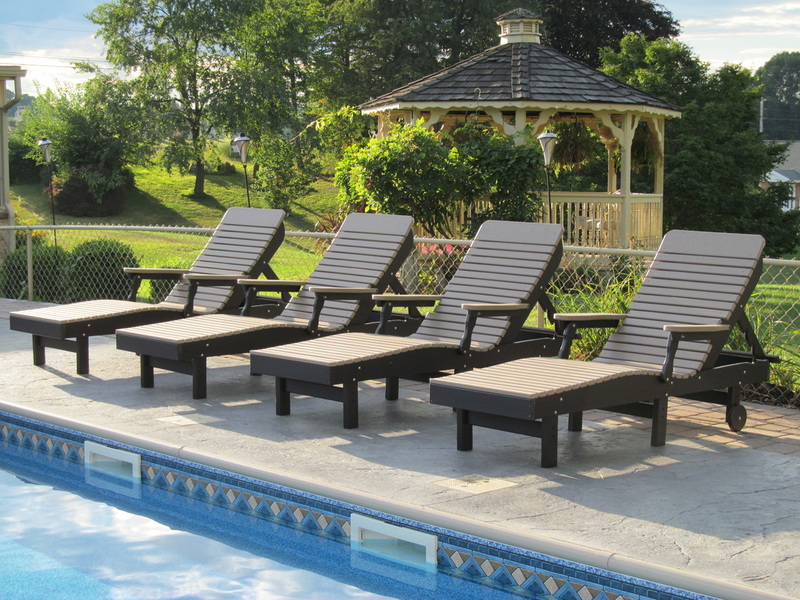 Please note: the 4 pictures above are of folding Adirondack chairs. 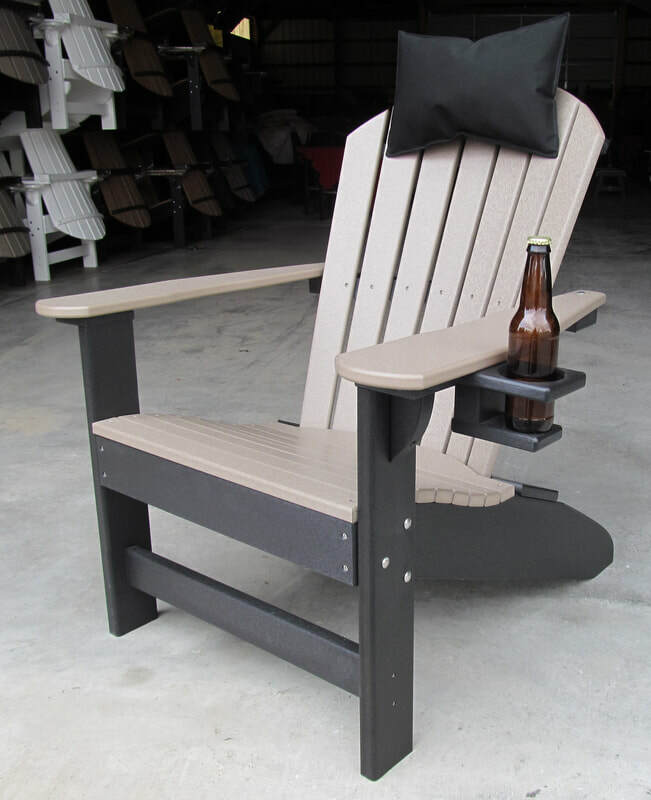 All other Adirondack chairs pictured on this website are not folding. 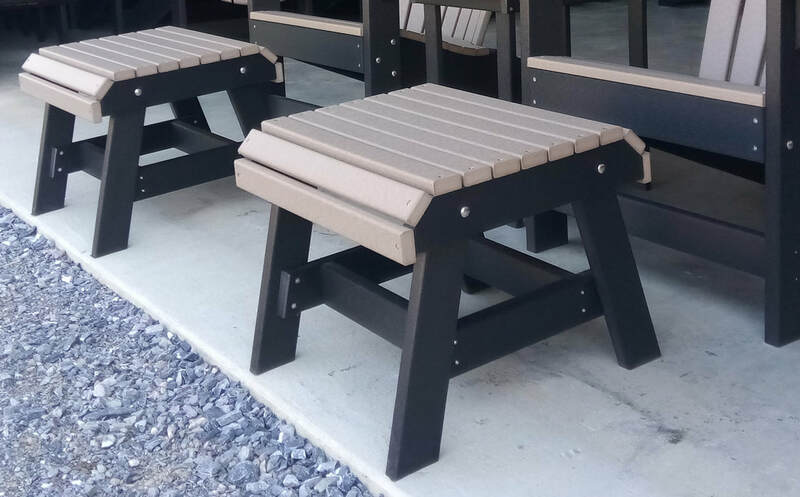 ​ Are Counter Height Chairs Tall Enough To See Over My Porch Rails? Thanks again. The counter set is beautiful and well crafted for an incredible price!! It puts us much higher than the deck railing for a great unobstructed view of the bay. 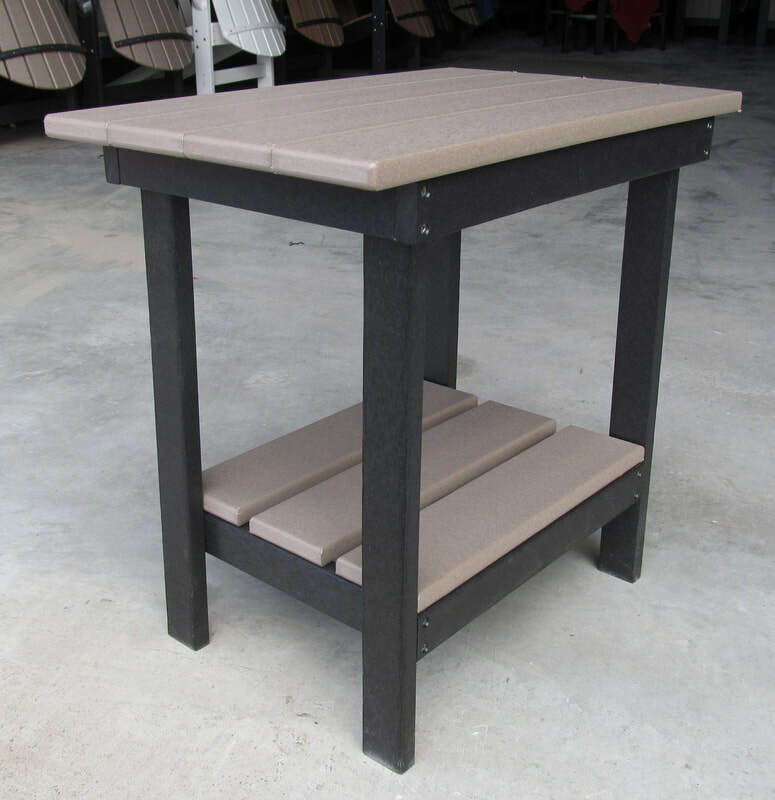 Picture of a counter height chair next to 37.5" porch rail. 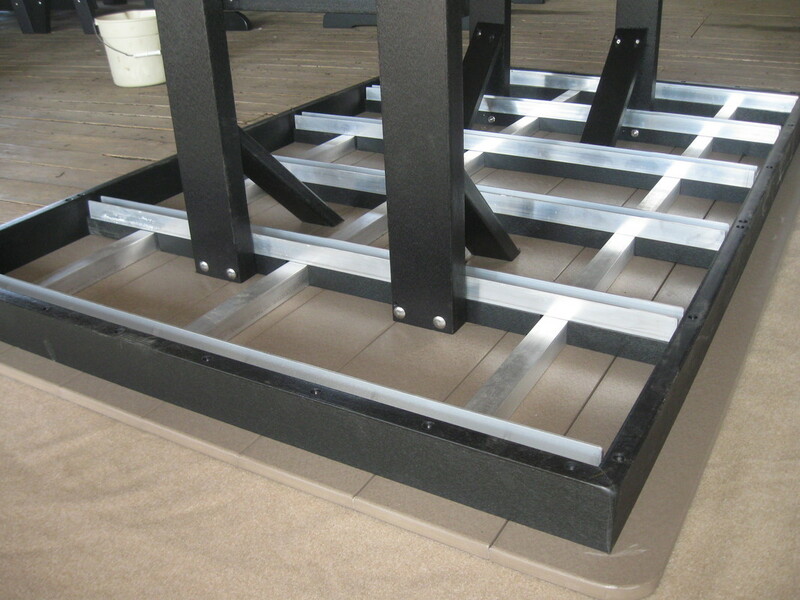 ​Note pillow height versus rail height. 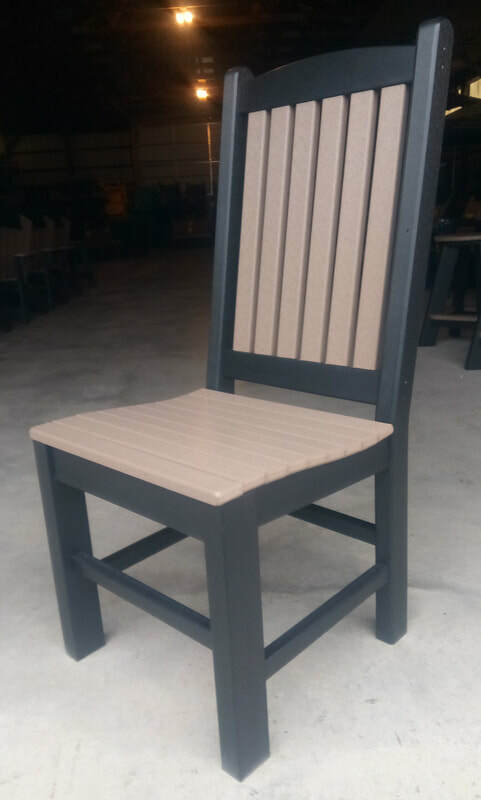 Please Note: this rollback counter chair is similar, but slightly different than rollback furniture we sold from approx 2010 through 2017. Please call Brent if you have any questions. 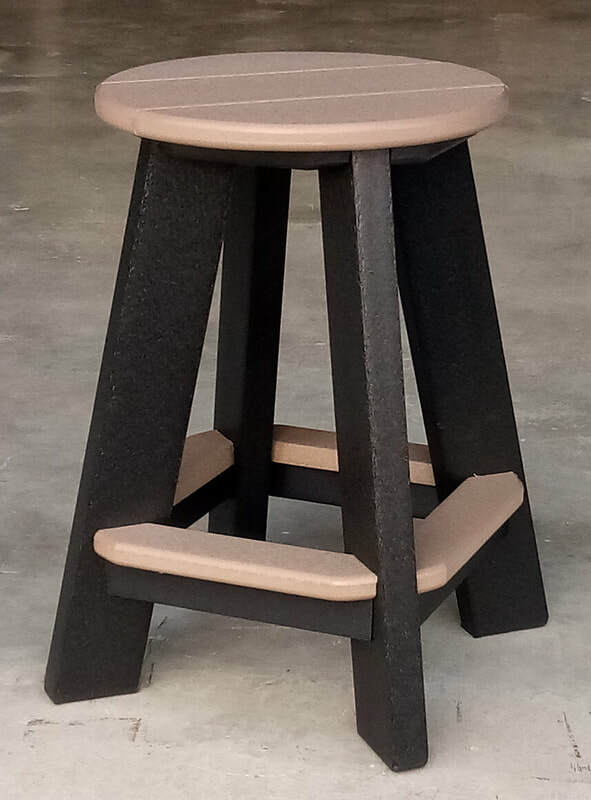 Note: we have (2) 24" stools suppliers (see both pictures). ​Both are nice and there may or may not be a choice at time of pickup. 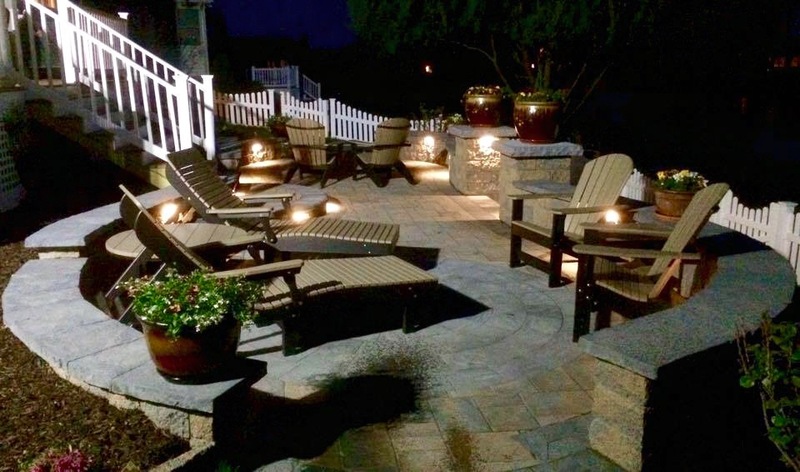 Our furniture looks better at our customer's homes than it does on our website! 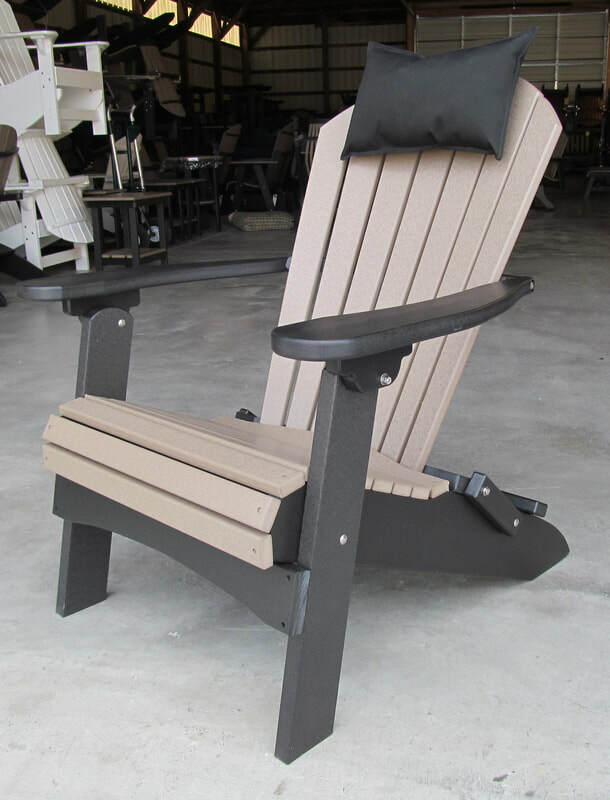 "best poly rocking chair for the money anywhere"
Note: color may look a little different when seen in person due to lighting, camera, etc. 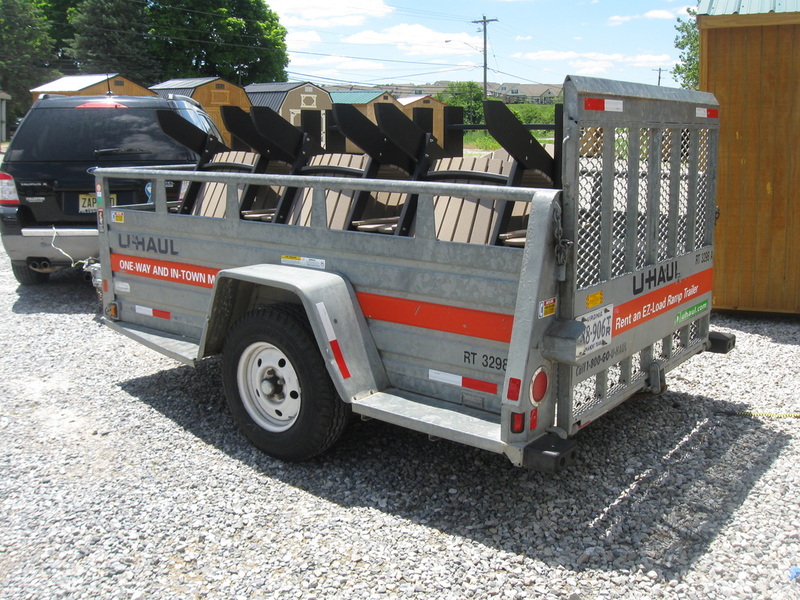 Our customers often rent trailers from U-Haul. It only works if they have access to a vehicle with a hitch and a brake light connection. Several folks said they paid $20 for the 1 day rental of a Uhaul trailer if picked up and dropped off at the same location on the same day. Pictured is a 5' x 9' trailer. 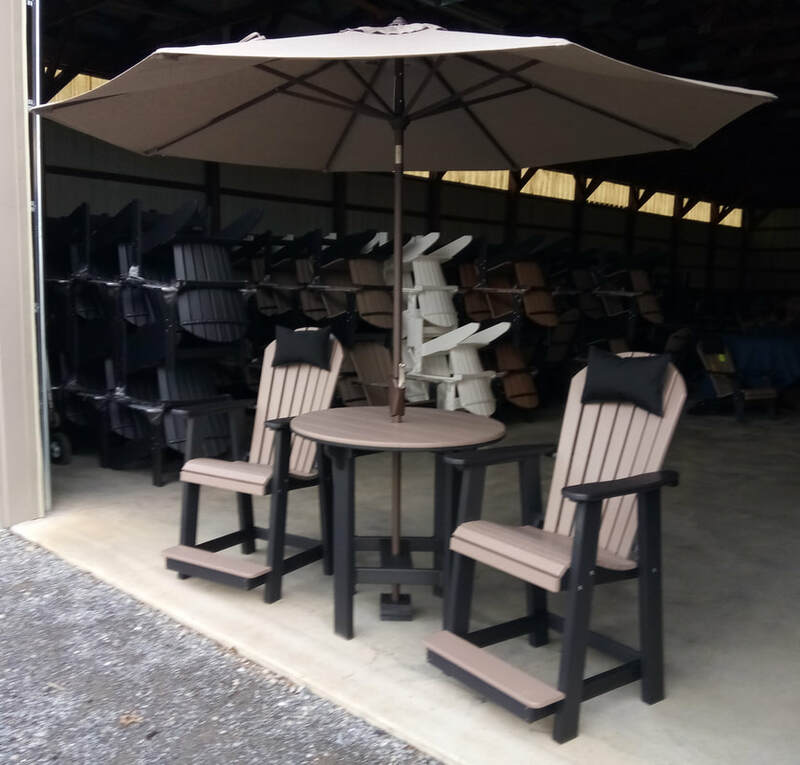 This customer put 6 Adirondack chairs in the trailer and 2 Adirondack chairs and 2 accent tables inside his Ford Explorer. If you don't have access to a vehicle that can pull a trailer, renting a cargo van from Enterprise can be an economical alternative. 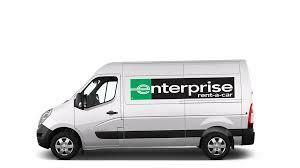 We have had several customers tell us that a 1 day Cargo Van rental from Enterprise with unlimited mileage is in the $79 range. Also, someone mentioned that Costco members can get a discount from Enterprise. 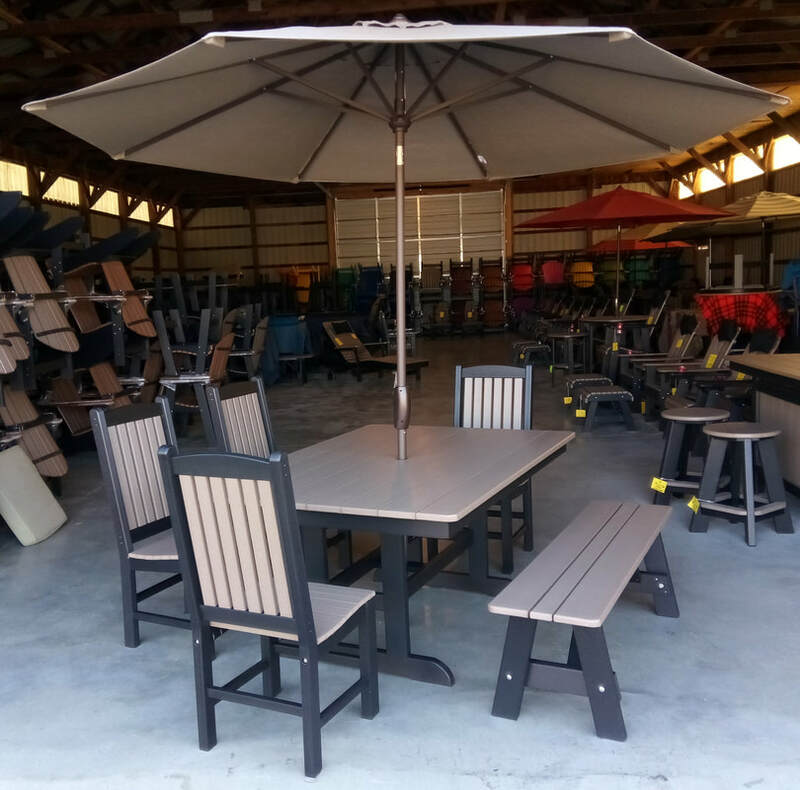 ﻿Our customers often drive several hours to save money on poly outdoor furniture. 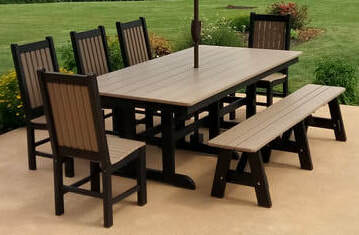 Folks often express concern, over the phone, that something must be wrong with the furniture seen on this website since the prices are so much lower than poly outdoor furniture sold elsewhere. 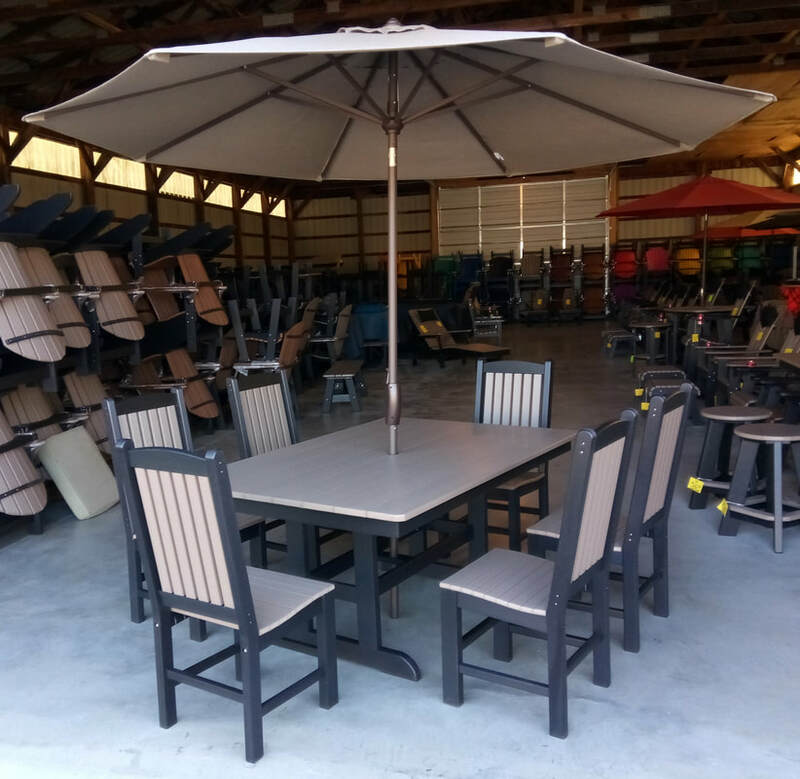 It is quite common that after our customers see the furniture in person, they load up as many pieces as they can fit in their vehicles. 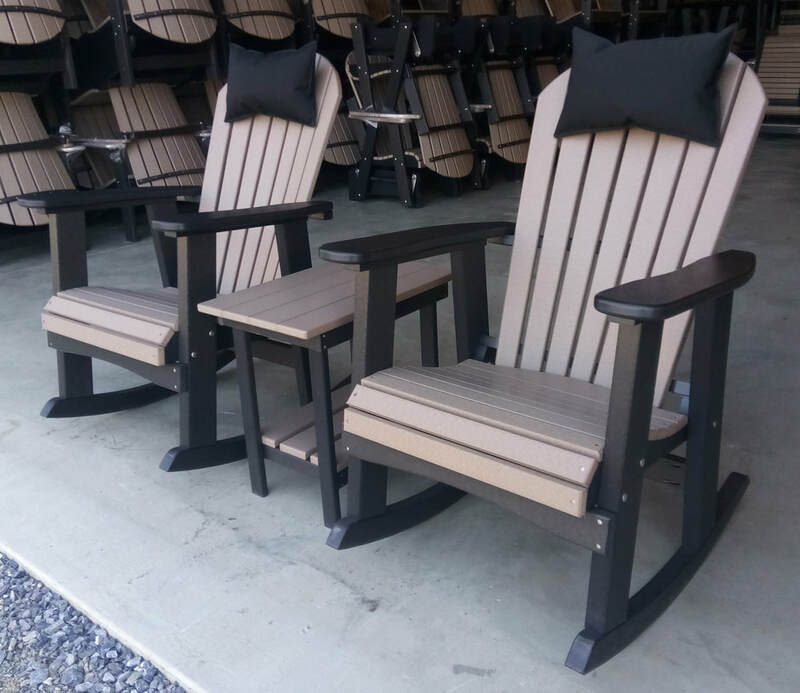 This customer called from New Jersey to reserve maybe a porch swing and maybe some folding Adirondack chairs if they liked the furniture after seeing it in person. 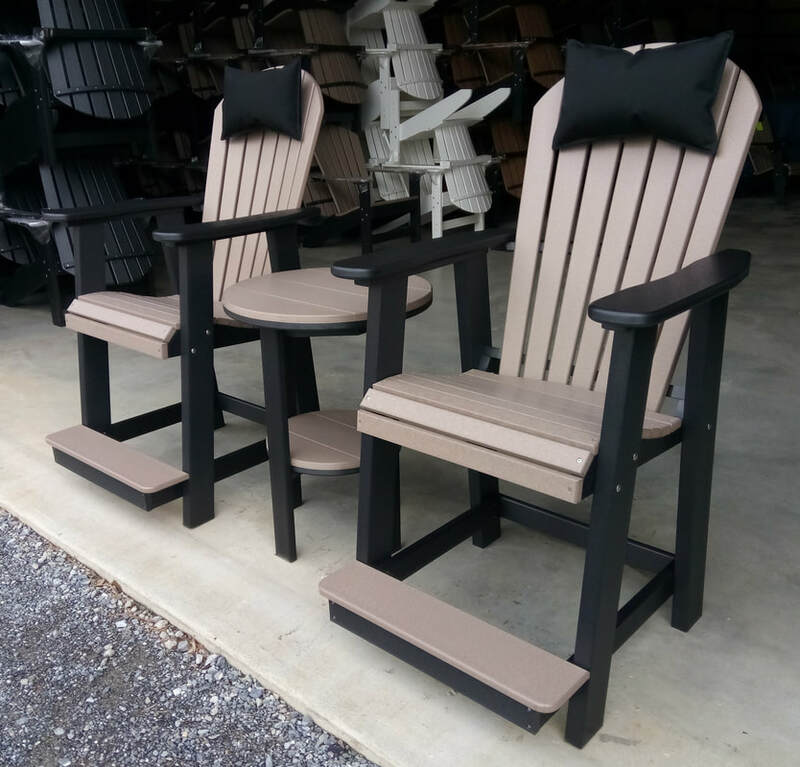 They ended up buying 8 folding Adirondack chairs, 1 porch swing, 6 Adirondack footrests, 4 accent tables and 4 bent poly rocking chairs. I think it's fair to say they liked what they saw when they got here! 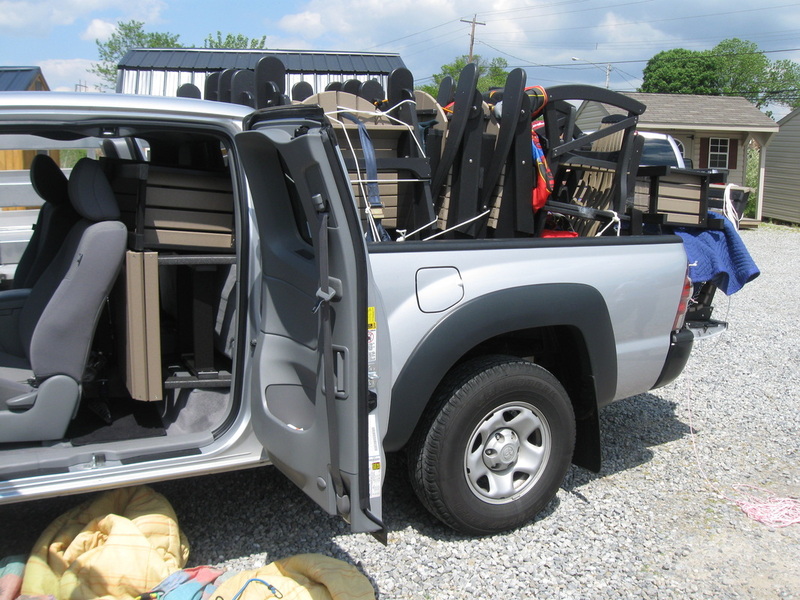 Most pickup trucks can haul 6 Adirondack chairs. 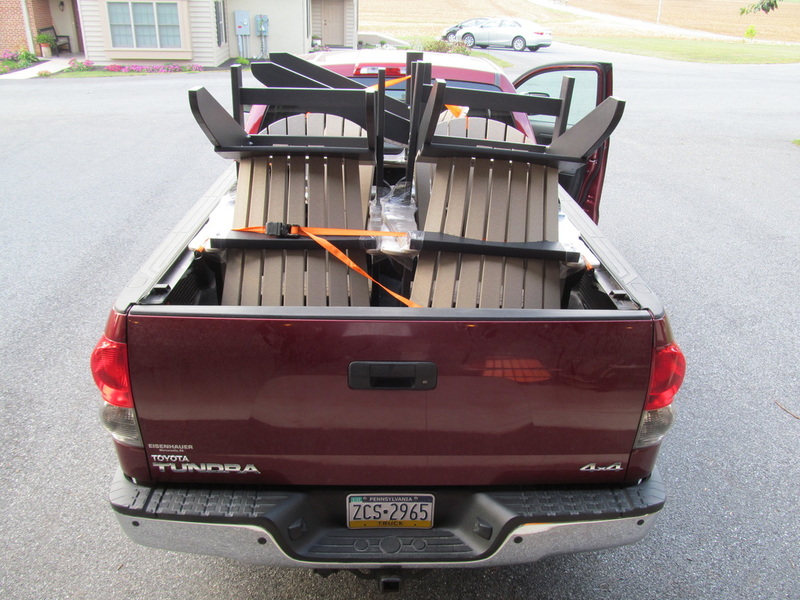 Pictured are 6 Adirondack chairs in an 6.5' bed pickup truck with the tailgate closed. Florida, Georgia, South Carolina, North Carolina, Tennessee, Alabama, Kentucky, West Virginia, Michigan, Wisconsin, Illinois, Indiana, Ohio, Virginia, Maryland, Delaware, New Jersey, Pennsylvania, Connecticut, Rhode Island, Massachusetts, New York, Vermont, New Hampshire, Maine, California, Texas, Nebraska, Washington and Arizona. 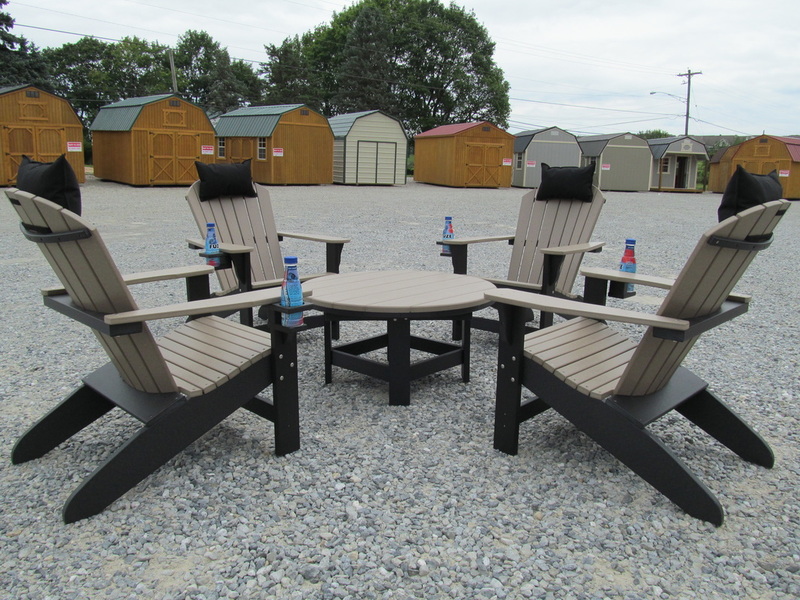 "Getting Ready For A Fire Pit In New Jersey"
We LOVE our beautiful Adirondack and chaise lounge chairs. You are truly a man of your word and offer (by far) the BEST furniture for much less than your competitors. It was worth the many hours we spent on the road. Thanks again for all your help. 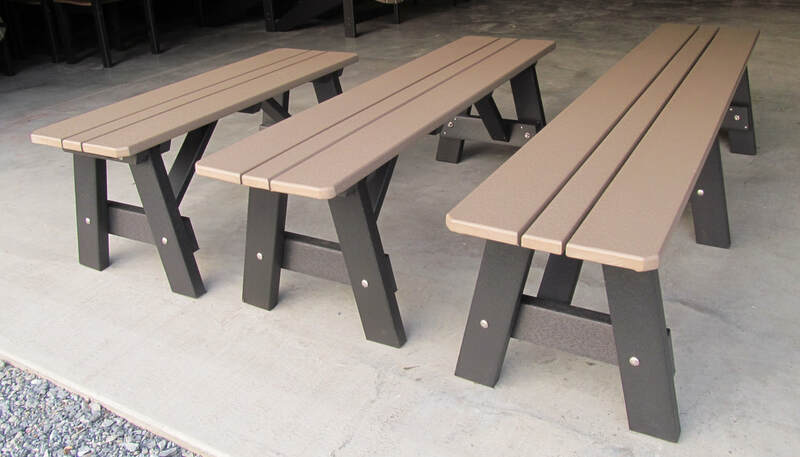 ​This New Premium Poly Lumber Color is designed to look similar to old wood! 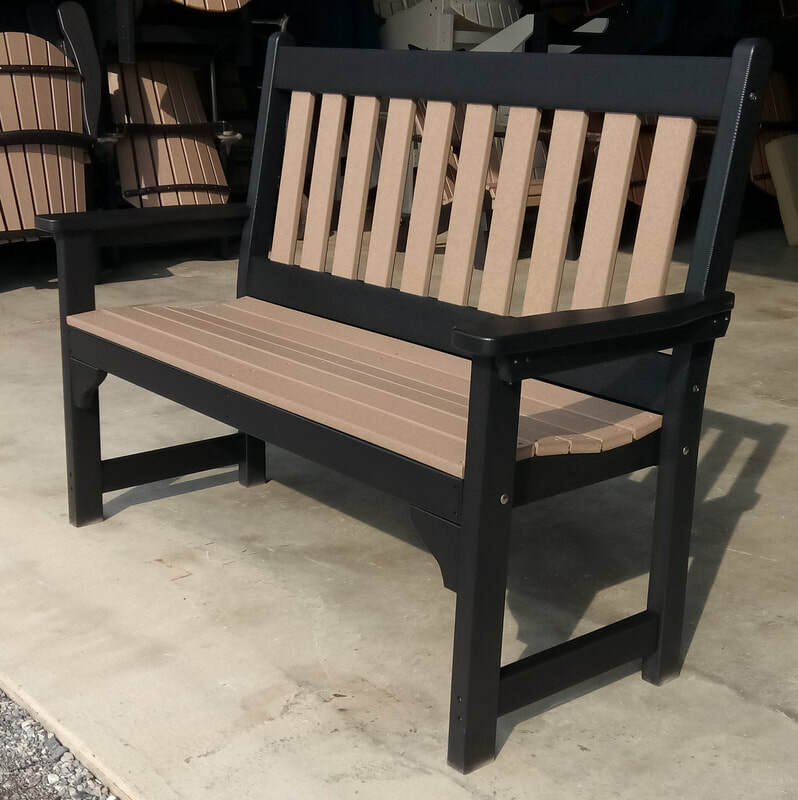 Antique Mahogany Poly Lumber Color is designed to look like old wood!